UPDATE: (October 6, 2011) This morning we received the worst kind of news. After four days of searching for Poppy in every way possible, our sweet pal was fatally hit by a car on Barrett Pkwy, about two miles from the home she was visiting. We are devastated for Poppy's parents and send our deepest sympathies, for Poppy truly was part of the family. Thanks to all our wonderful friends for the support and help in trying to find Poppy. RIP sweet Poppy, you will be missed. Thankfully we've never had to do a lost dog post and it's not what we typically do. But Cosmo's sweet Havanese pal Poppy has been on the loose since Sunday, Oct. 2. We're doing all we can to spread the word so that someone will help spot Poppy and bring her home. Map of the area: The red circle "A" is the location Poppy was last spotted. Reward: Poppy's parents are offering a $500 reward for the safe return of sweet Poppy. Collar and tags: Poppy was wearing a collar with an identification tag with her name and number and rabies tag when she was lost. 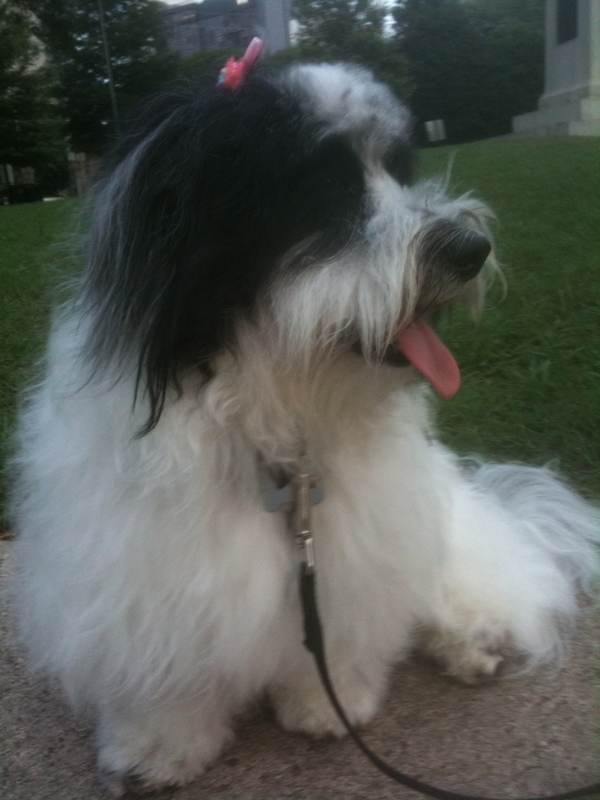 Other stats: Poppy weighs 20 pounds and is a black and white Havanese with full coat and bangs trimmed around her face. Contact: Call 678-576-5555 with any information about Poppy. Flyers are being posted all over the area and the search will continue tomorrow. It breaks our heart to think of sweet Poppy on the loose. Hopefully someone has taken her in she'll be back home safely very soon. Please share so as many eyes as possible can be on the lookout. We posted about our FDP t-shirt yesterday! Thank's again! Thanks pals. We're going out to help today. I sure hope we can find Poppy. She's the sweetest. Shared to my FB. I hope they find her. 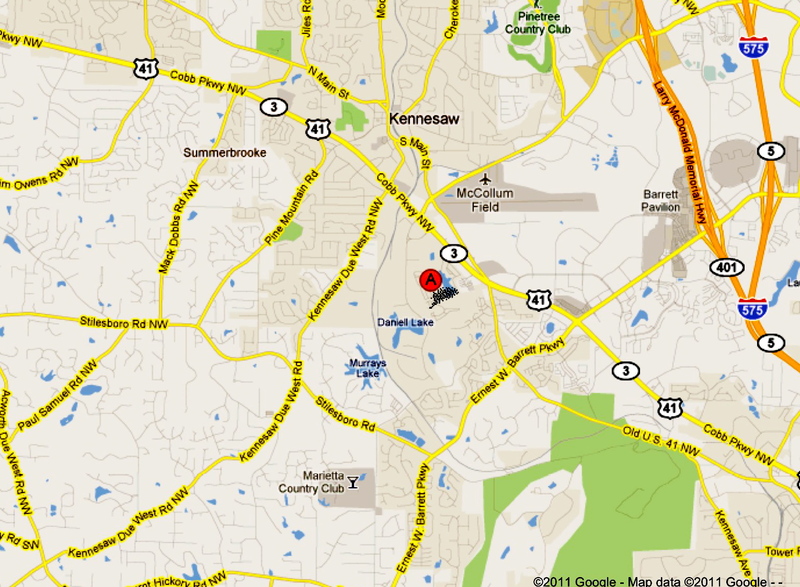 Kennesaw State newspaper and OWL Radio retweeted and put on my FB. Good luck! So sorry to hear about Poppy. Absolutely tragic. My thoughts are with Poppy's family. Thank you all for your kind thoughts. It is so heartbreaking for Poppy's family. RIP Sweet Poppy.